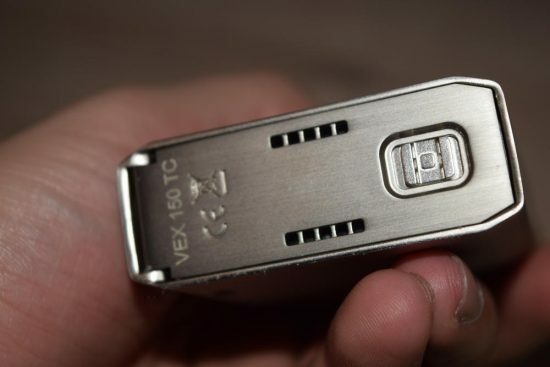 The VEX 150 is the most powerful vaporizer ever released by VaporFi. It has a maximum power output of 150 watts, supports temperature control for stainless steel, Ni200 and titanium, is powered by two high-drain 18650 batteries and comes with a host of built-in protections. This all may not sound revolutionary by today’s advanced mod standards, but for company that until recently only catered to beginners and intermediate vapers, it’s a pretty big deal. The Vex 150 marks VaporFi’s entry into the advanced vaporizer market, probably the toughest one to crack, due to a variety of factors, including insane level of competition, knowledgeable consumer base and constant innovation. In this review, we’ll try to figure out if the VEX 150 has any chance of becoming a best-seller. 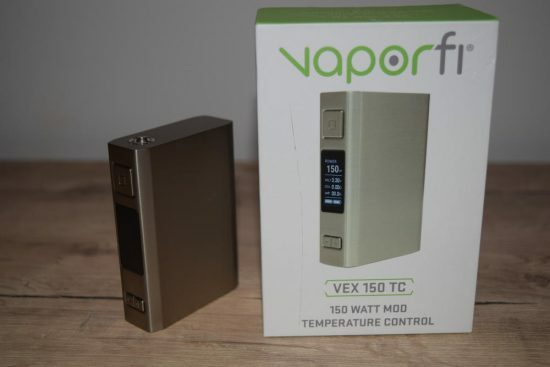 The VaporFi VEX 150 comes in the company’s classic packaging – a rectangular cardboard box in their traditional white and green color scheme, with a picture of the mod on the front, and the kit contents and warnings on the back. Inside the package, we have the VEX 150 sitting snug in a foam holder, and underneath that is the micro-USB charging cable and a user manual. That’s about all there is to this kit, and while it may sound like a rather austere offering, it’s actually the typical mod starter kit. So just to clarify, in case this is your first advanced vaporizer, in order to use the VaporFi VEX 160, you’ll need to purchase two 18650 batteries separately, as well as an advanced atomizer (tank, RDTA) and e-liquid. That can get pretty expensive, considering the mod itself costs a whopping $129.99, but the superior vaping experience is definitely worth it. The VEX 150 has an elegant, minimalist design. VaporFi opted for the classic rectangular body, with rounded corners for a more comfortable grip. 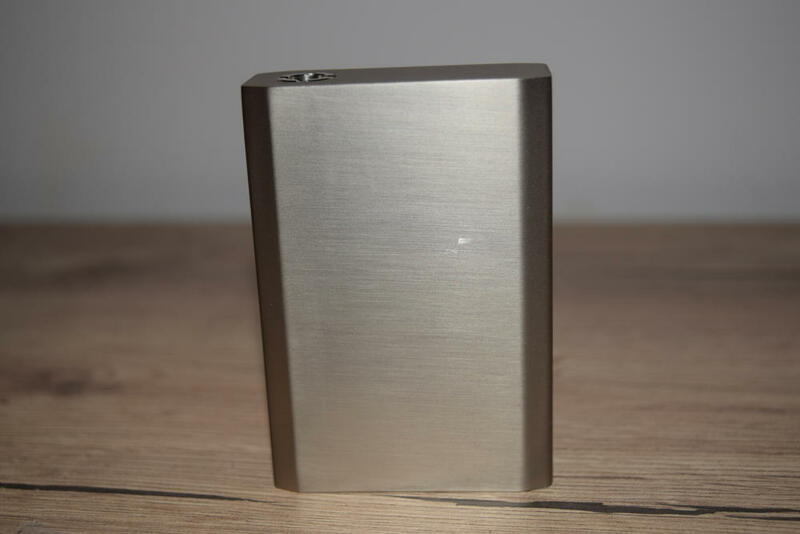 It measures 22 x 82 x 57 mm, which puts into the large category of mods, although it is noticeably slim compared to most other advanced vaporizers these days. And while this can be considered a plus by vapers with smaller hands and those who value portability, it also means that large diameter atomizers, like the SMOK TFV8 or iJoy Limitless Classic, will overhang on three of its four sides. They work perfectly, but if you’re one of those guys who want everything looking perfect, it’s kind of annoying. VaporFi’s new flagship mod comes in stainless steel and black colors, both of which have matte finish that I think looks cool, prevent fingerprints and improves the grip. On top we have a classic 510 spring-loaded connection, while on the bottom we have quality hinged battery door. 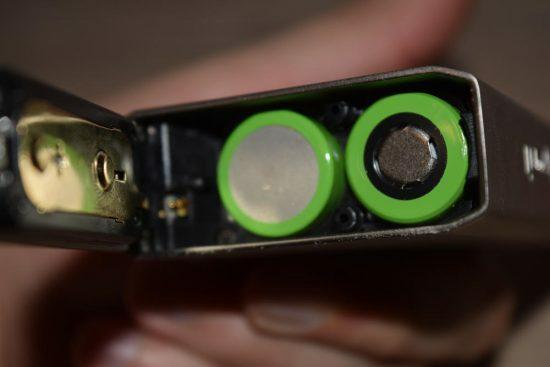 To open the battery compartment, you have to flip a switch on the door to unlock it, and once you’ve inserted the two 18650 batteries (paying attention to the polarity markings), all you have to do is flip the door back down and apply some pressure until it clicks into place. It’s not exactly a revolutionary system, but it’s nice to see VarporFi implementing one of the better battery door systems I’ve seen. The buttons and diplay are on one of the narrow sides of the VEX 150. The large, square fire button is conveniently located above the 0.96-inch display, while the ‘+’ and ‘-‘ buttons are right below it. The buttons are all metallic so there is a bit of a rattle if you shake the device, but it’s not loud enough to be even slightly annoying. 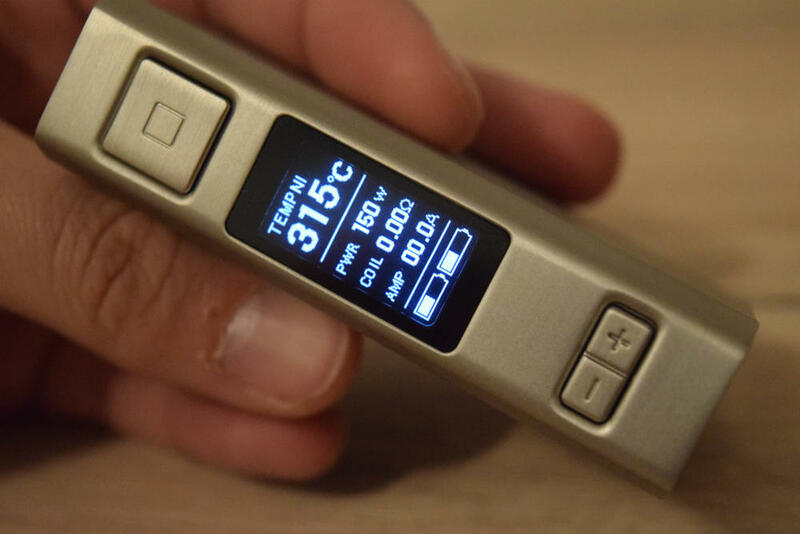 The display is one of the nicest features of this device, and the first thing to reveal that VaporFi has licensed Joyetech technology for the VEX 150. That’s not a bad thing by any means, Joyetech is one of the best vaporizer manufacturers in the world, and I for one never imagined that VaporFi would develop a mod from the ground up. I’m just glad they chose to work with one of the better mod manufacturers in the industry. Anyway, the display is large enough to see all the information clearly even when holding the VEX 150 at arm’s length, and it’s also bright enough to be visible in any lighting conditions. 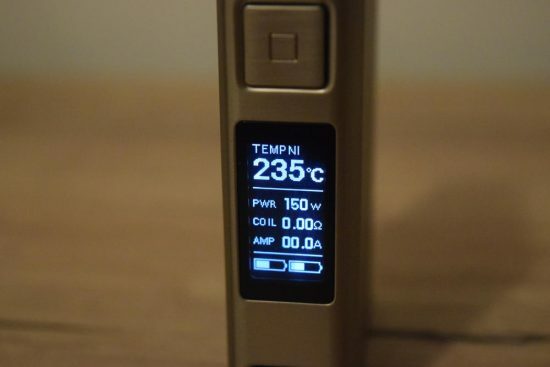 It’s basically the same style display Joyetech uses on devices like the Cuboid, with separate battery indicators, /temperature/wattage, real-time voltage, atomizer resistance and amperage/puff counter. 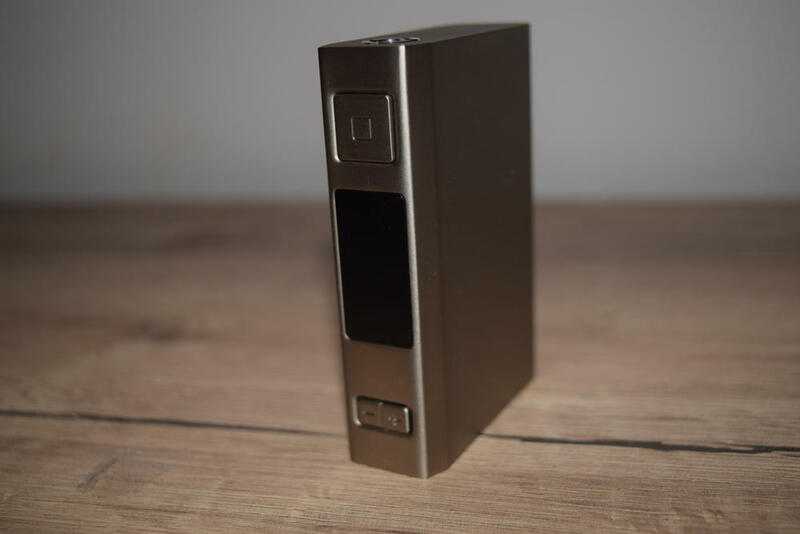 The VaporFi VEX 150 likely uses a Joyetech chipset as well, because the menu system and navigation are identical to other Joyetech devices I’ve used in the past, like the eGrip 2, for example. To turn the vaporizer on and off, you have to press the fire button five times in rapid succession. You can adjust the wattage/temperature by simply pressing the ‘+’ and ‘-‘ buttons while on the home screen. To access the menu, you have to press the fire button three times rapidly. You’ll see the ‘Power’ or “Temp’ – which ever one you’re using – flashing, and that’s how you know you can browse through the settings. Actually navigating this menu is a lot trickier than it seems. Although the VEX 150 doesn’t have an actual menu – you get to browse through and change the settings directly on the home screen – actually figuring out which buttons to press and when is a chore. Let me give you an example. Say you want to go into temperature mode for stainless steel. You first press the fire button three times, than you have to press the ‘+’ button to switch from wattage mode to temperature mode. But that takes you to temp control for Ni200, so you then have to press the ‘-‘ button to select from the three different supported materials, and finally press the fire button again to input your changes. The problem with this type of menu is that pressing a wrong button while trying to change something can throw you off completely, and you have to start over. To be fair, this is not a VEX 150 problem, it’s a Joyetech problem, one that I have mentioned several time before. For some reason, they seem to be clinging on to this annoying navigation system, instead of adopting a simpler one, like SMOK and iJoy have. It may not affect the performance and overall quality of the devices, but the awkward navigation is tough to get used to, especially of you’ve never used Joyetech products before. Once you get used to the menu and navigation, you’ll find that the VaporFi VEX 150 lets you sift through an impressive number of features. Apart from switching between power mode and temperature control, you can change the preheat wattage in temperature control, set multiple TCR values (for advanced users only), choose to display the amperage, puff counter, of puff time, and adjust and lock the resistance of the atomizer. 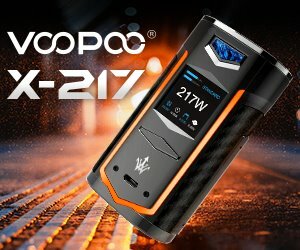 The point I’m trying to make is that even though this is VaporFi’s first advanced mod, it features most of the options you can find on the top devices available these days. That’s saying something. As always, I hate talking about battery life when reviewing a variable wattage’temp control mod that also happens to work with removable batteries. There are so many variables to consider that it’s virtually impossible to estimate battery life. 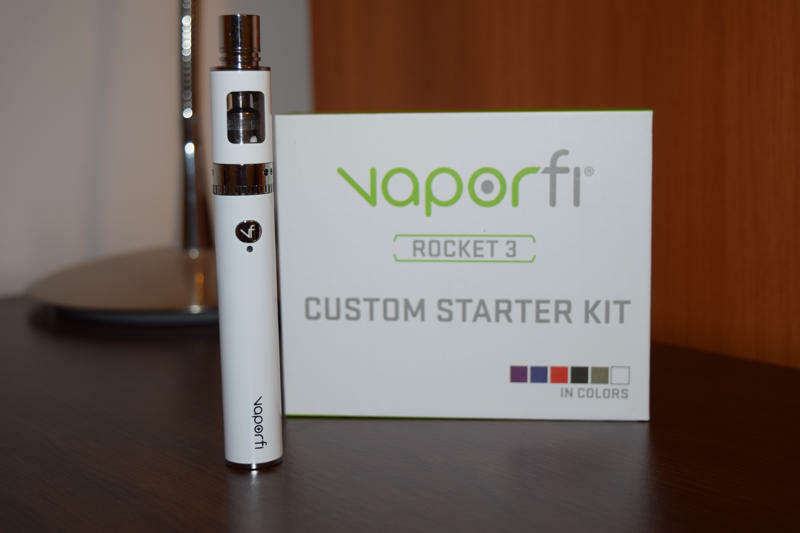 What I can do is share my experience with it at my preferred power setting and using two VaporFi 18650 batteries provided by the company. The batteries are rated at 2500 mAh, and I was mainly using the mod at 65 watts, with a dual Clapton built (0.3Ω). On average, I got about 7 hours of use out of the VEX 150, but you have to consider the fact that I was using it very heavily during that time. So if you’re not a heavy vaper, that should probably last you a couple of hours more. It’s not bad at all, pretty much in line with most other dual 18650 mods I’ve used. I have been using the VaporFi VEX 150 for a couple of weeks, mostly in power mode, not because there’s anything wrong with its temperature control feature, but simply because I prefer the raw power of wattage mode. I have had no major issues with it so far. The buttons are responsive, and even though I have no tools to properly measure the power output, the wattage seems accurate. One thing I would have liked to see implemented is a preheat system, like the ones used by SMOK and iJoy. This would allow you to bump up the power for the first 0.5 seconds of the draw, helping to get the coils nice and hot faster. Unfortunately, this is not available for the VEX. As its name suggests, the VEX 150 has a wattage range of 1W – 150W, and a resistance range for wattage mode of 1Ω – 3.5Ω. In temperature control, it operates between 200°F-600°F / 100°C-315°C, and has a resistance range of 0.05Ω – 1.5Ω. Again, that’s pretty standard for an advanced dual 18650 vaporizer. 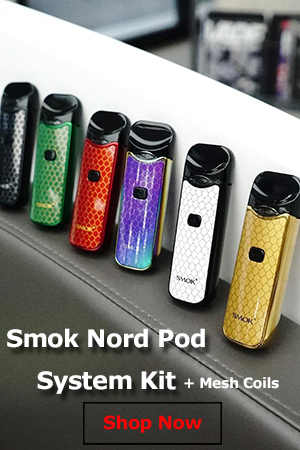 The VaporFi VEX 150 does have a slight delay when pressing the fire button, but it’s nothing serious, like the delay on the original SMOK X Cube 2, for example. As I mentioned, I haven’t used the temp.control feature too much, but I did test it out with a dual-stainless steel build I had on the Geekvape Avocado 24, and it performed pretty well. Luckily, in this mode you can actually set the preheat wattage, so you can get a nice hot vape if that’s what you like. I was also glad to see that the VEX 150 didn’t jump out of temperature mode, as some more sensitive mods tend to do with some DIY builds. I have to say that I didn’t expect VaporFi to come out with an advanced mod like the VEX 150. They seemed pretty focused on catering to the needs of beginners and intermediate vapers, where the real money is, but I’m glad to see them stepping up their game and taking on this challenge. For their first such device, the VEX 150 is quite an accomplishment. 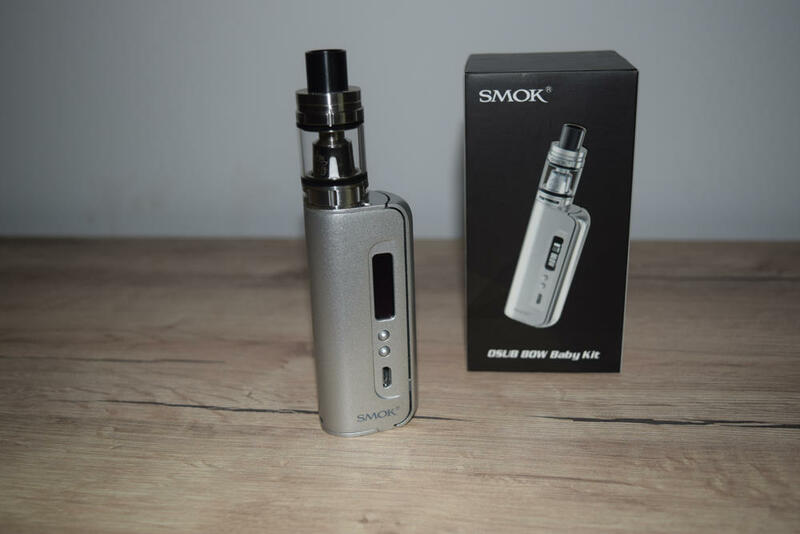 It has a very high power output – considering that the vast majority of vapers never go over 100W – all the features you would expect from an advanced mod, and the build quality is pretty high as well. The only big con I can mention is the price. The VaporFi VEX 150 costs $129.99, which is quite steep, for any type of vaping device. Even the new SMOK G-Priv, which has ultra advanced features like a giant touchscreen and 220W power output retails for around $100. But there is some justification to this high price. VaporFi has a 30-day money back guarantee for all its products, and an excellent customer service, neither of which are available when buying from other big names in the industry, especially Chinese manufacturers. Think of it like paying a little extra for insurance. When buying a VaporFi product, you know that if something goes wrong, you’ll either be able to get your money back or receive the support you need. Is it worth the price bump? You’ll have to decide that yourself. Great review! I KNOW this won’t last but the $129.99 Vex 150 went down to $79.99, but wait! There’s more! I just picked one up from VaporFi.com for, get this.. $15! They must be making room for another innovative product. Only downside to the Vex and Vox appears to be some slight (1mm) overhang on tanks 24mm, but that’s no big deal and I’ve got plenty of smaller tanks that will match exactly to the 22mm width. What a deal! Plus the have the Vox 80w with a built-in 4000mAh battery (that people say really does last all day) also for $15. 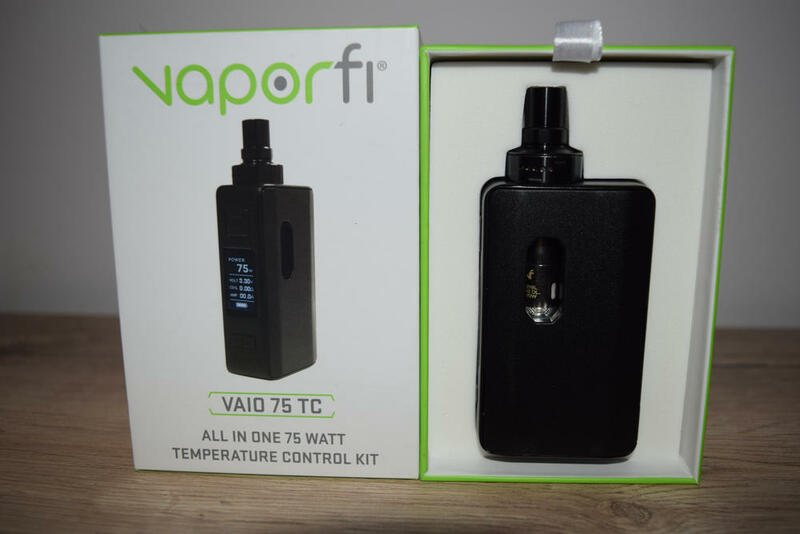 Today is 1/16/19 so I would jump on it, and I have to say VaporFi is the real deal and they even have 24 hour customer service which is unsurpassed… I got on KangerTech 2000mah (not recommended unless you can keep it running via pass-through technology, AKA charge n vape) and so I had a faulty Micro USB port which they seemed to be a manufacturer’s error and at 3am I called and they said “no problem, as long as it doesn”‘t look like user error, we’ll ship you out a new one. Well they were out of stock and since it was $50 list price they let me get 2 4000mah 80W VOX mods and a VEX 150 as a fair trade… Best service ever, I HIFHLY recommend them (oh, and they even offered to pay back my $5 shiping cost, but getting 3 mods for the price of one was more than enough… Is there ANY other company with such great warranties (best on VaporFi products) and 24/7 customer service? I hope VaporFi is around for a long time because they have a customer for life. Bam!